Life in General: This has been one rough week! You may have noticed that I've barely had any social media presence at all. Work has slammed me. While this is a really, really good thing, I wasn't really prepared for it. January has always had a sane workload. This year, however, Yikes! It seems that almost all my focus has been on editing and writing. I'm so grateful for the work and feel very lucky to be among those who managed a successful freelance career, but sometimes it's overwhelming. Book to Movie: I was looking through my blog's archives, and I can't believe I never wrote about Susannah Cahalan's Brain on Fire, a memoir that truly had a lasting impact on me. If you don't know the story, Cahalan, a journalist, suddenly and unexpectedly started showing symptoms of some kind of psychological breakdown. She was on the verge of being institutionalized, when a neurologist asked her to draw a clock. Through this simple test, done hours before her doctors were going to commit her, it was discovered that she had a brain infection and was not, in fact, undergoing a psychotic episode. That book had such an effect on me, I made Mr. BFR promise that he would make sure I was tested if I ever displayed similar symptoms. The other day, we caught the Netflix movie (directed by Gerard Barrett and starring Chloë Grace Moretz). While I don't think the movie packs the punch of the memoir, it's still worth watching. 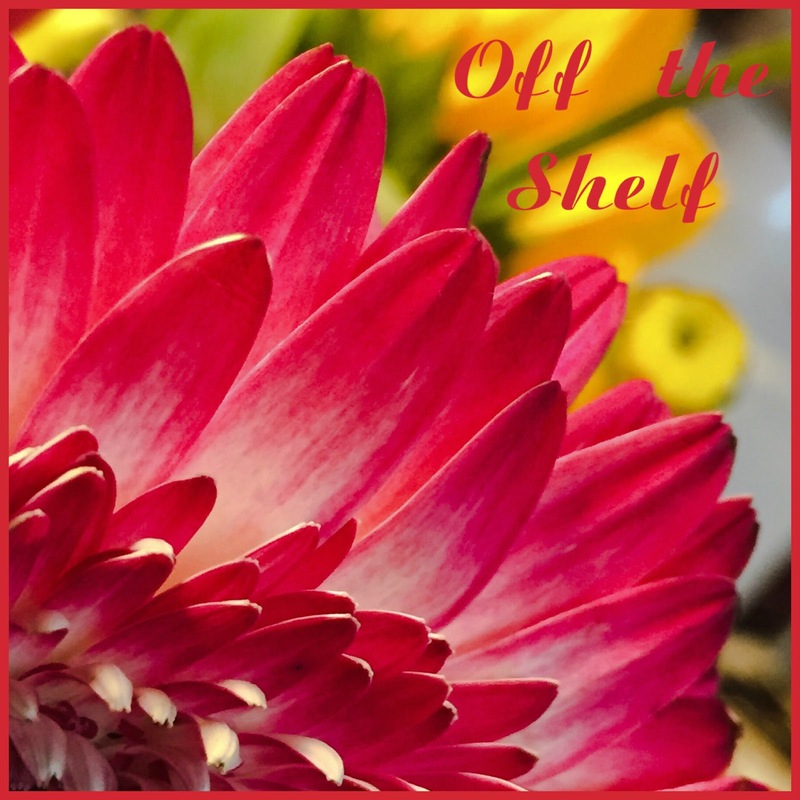 In the Kitchen: Three cheers for my pressure cooker! I've used it twice already this week: We had beans and rice on Monday and chicken curry on Wednesday. Tonight I'll put it through its paces again for split pea soup with ham. It's cold outside and hot, flavorful, one-pot dinners are so welcome. 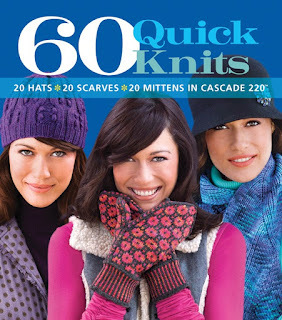 Knitting: I've been on a knitting kick lately. I recently finished a white wool scarf (there's a photo on Instagram), and now I'm quickly working on a matching hat. With temperatures dropping below zero, I really, really need that new hat! I was so inspired, I picked up a new pattern book: Cascade Yarn's 60 Quick Knits, which has, as the title says, patterns for 20 hats, 20 scarves, and 20 mittens. The cover shows some of the projects, and I'm already planning next year's Christmas gifts! My phone: I had a request to talk a little bit about why I picked the iPhone 8 when I bought a new phone a couple of months ago. Here's what my research told me. First, the 8 was half the price of the XS, and I really didn't want to spend $1000 just before the holiday season. Second--and more important--my understanding is that none of the current iPhones are G5 ready, and I knew that if I spent $1000 on a phone, I wouldn't want to replace it in 18 months or so when the new network is released. I won't have an issue ditching the cheaper model when Apple produces G5 phones. In my cup: Although coffee is my go-to morning beverage, I'm an afternoon tea drinker. Iced in the summer, and hot in the winter. 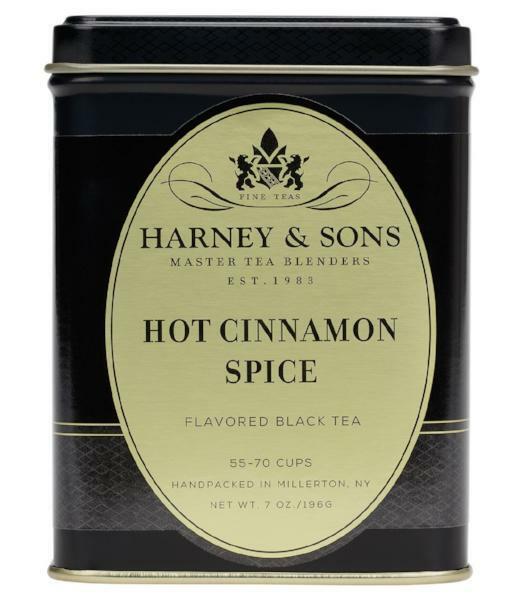 These days I can't get enough of Harney & Son's Hot Cinnamon Spice Tea, which has been one of my favorites for years. I've been drinking it by the pot full all this month. 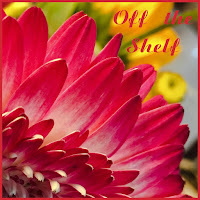 Making plans: Never mind the -8F temperatures, I've started eyeing up the seed catalogs. I know it sounds crazy, but we're really not all that far away from starting the seedlings and dreaming of this year's garden. Besides, just looking at the photos of the flowers makes me happy and warms my soul. What's going on your part of the world? Re Brain on Fire: very scary indeed about stuff that's hard to diagnose. So important to find good doctors, but really, how do you know? I didn't realize the Brain on Fire is on Netflix. I must check that out. I love that tea, too, but don't drink tea very often. I think I might have a cup now. I'm glad I was at my mom's for the worst of the cold weather - it didn't get too cold down there. Great post. Glad to see everything is going well, even if you are busy. I think that's a good thing. I haven't read Brain On Fire but I did see it on Netflix. Scary! I'm not a tea drinker so I've been drinking more coffee and hot chocolate to help me stay warm. Well, it's not nearly as cold as where you are, but the rain has returned, so I may just have to fix a cup of tea this afternoon. I usually have a cup of coffee in the morning and a second cup always sounds like a good idea, but it never tastes quite as good. I'm eager to read Brain on Fire, which was a huge seller when I was working at B&N. For some reason, I never got around to reading it, in spite of all the rave reviews. I'm excited because today I host my first neighborhood mah jong group. I learned how to play when I was about 8 or 9 and I love the game. We play with the traditional Chinese rules rather than the American version and today I am teaching three of my neighbors, with the hope of making this a monthly event. I've never heard of that brand of tea but sounds good. In this weather I love a hot beverage to warm up. thanks for talking about your new phone. My husband's iPhone 7 is giving him trouble and he is evaluating which phone to get next. He was thinking of the X or XS. I will pass this along to him. here its been high/low wet/dry series of seasons and the lows are pretty low ... walked through a snow squall on my way home the other afternoon and honestly i wont mind if i never encounter another - good reasons to stay in and read/listen or watch .. Thanks for the word on the Brain on Fire movie etc. I think I should go back and read that memoir -- sounds scary.